The world is full of bad people. Dangerous, evil, and cruel people. People who want to hurt others for whatever reason they can come up with. Most people are not like this. Most people are kind, generous, empathetic, and loving. These wonderful people are all around you. They are your family, your friends, your co-workers, and even the strangers who walk past you on the street. It takes 1 bad person to do a lot of damage. But remember that everyday, all the good people are doing at least 1 good thing. Whether it’s a friend telling a joke, the security guard telling you good morning, the car next to you letting you in their lane. All of these people add up. We take these people for granted. When things are good, we get used to it and don’t think twice. When things are bad, we notice, because the bad stands out amongst all the good in the world. An event happened earlier this week in Orlando, Florida. Taking the lives of many good people, plus the bad person who caused it all. Remember the good. Bad people come and go. The good stays. 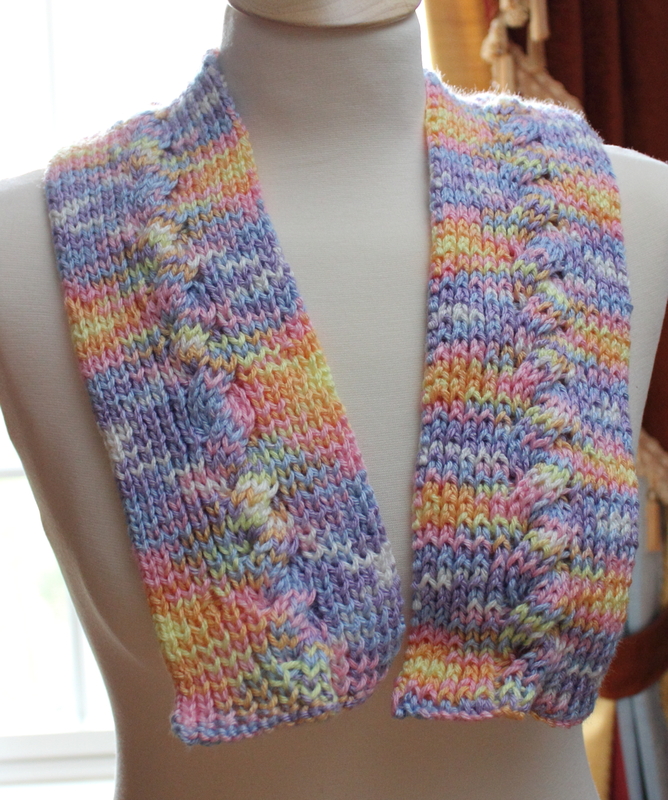 I made my rainbow scarf a few months ago, and have not yet figured out what to do with it. I can part with it easily. Don’t part with hope. Don’t focus on the bad people. Focus on you, focus on the good that you do and spread it. The good that we spread, is considered the norm these days. It was not like this not too long ago. Continue spreading good, and it will continue to be the default. Stay safe, stay loved, and stay good.